The winter months give you a chance to hibernate and bulk up. Follow these five tips to build some serious size before you focus on losing fat! Everyone wants to get lean, shredded, or cut up for May, June, or July. And why not? That&apos;s the ideal time to rock the physique you put so much time and energy into building. While the spring and summer may be the ideal time to lean out, there is one time of year that&apos;s absolutely made for putting on size and bulk: the holiday season, from Thanksgiving to New Year&apos;s and beyond. There are two things that have to happen for you to build muscle: first, you need to train hard and heavy; and second, you need to eat your face off. Have you ever seen someone try and go on a diet, or lean out, during this time? It&apos;s almost painful to watch, and I&apos;m not sure I&apos;ve ever seen someone succeed. Instead, why not make the most of this special season, where you tend to have more time off (and copious amounts of food at your disposal), to get serious about adding some size to that frame? After all, if you put on a few extra pounds of muscle now, when you lean out in the spring and summer, you&apos;ll have an even more impressive physique next year. If I&apos;m speaking your language, I&apos;ve got five muscle-building tips that are guaranteed to fast-track your progress. Use them for rapid muscle growth, and I guarantee you&apos;ll be impressed with the results! When it comes to leg training, I love exercises like single-leg Romanian deadlifts, step-ups, and the like. And almost everyone enjoys blasting their guns with some isolation work, or chasing a searing pump on shoulder raise variations. But this month, as the saying goes, "Ain&apos;t nobody got time for that!" 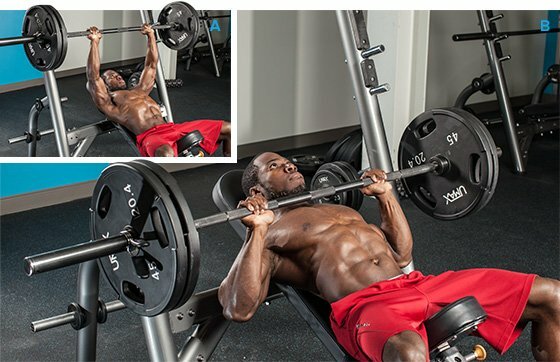 This month, it&apos;s all about big, compound lifts. I would say that even your "assistance" exercises for the month should be of the compound variety. Think RDLs, dips, close-grip benches, and similar exercises that allow you to push weight, and get bigger and stronger in the process. Last but not least, you need to push the weights to make maximum progress. I like using sets of five for your main exercises. This will allow us to use heavy weights, tax the fast-twitch muscle fibers, and it works hand-in-hand with the other training tips that are coming up. What&apos;s better than using big lifts to start your workout? Using them to take your gains to the next level! Let&apos;s say you just polished off a heavy set of fives on the squat. Instead of simply moving on to the next exercise, drop the load 5-10 percent and continue hitting fives for another 1-3 sets based on how you feel during the workout. If you feel great, perform up to three extra sets. If you feel a bit rundown, only perform one dropset. This is a great way to accrue more volume and make sure you spend more time on the exercises which provide maximum return on investment. The strength-aerobic method is a protocol which allows you to develop both slow- and fast-twitch muscle fibers in one awesome session. I understand muscle physiology—you can&apos;t perform a lift without getting both slow- and fast-twitch fiber recruitment. But by changing the performance of an exercise slightly, you can focus more specifically on either the fast- or slow-twitch fibers. To use the strength-aerobic method, pick out a big lift like squats or bench presses. You&apos;re going to push the weight on heavy sets of five (or something similar), until you become fatigued. From there, drop the weight substantially and focus on what&apos;s called tempo training. This is an awesome tool, because it&apos;s going to preferentially develop slow-twitch muscle fibers. A common issue for trainees who want to get bigger is they don&apos;t work fast enough in their training sessions. Strength coach Ian King often refers to his "Neural-Metabolic" continuum. On one side of the continuum you have a more nervous-system-based program featuring more sets, fewer reps, longer rest periods. On the other side you have a more metabolic-focused program with fewer sets, more reps, and shorter rest periods. If your goal is to get strong like a powerlifter, you want to rest 3, 5, and even as long as 10 minutes between sets so you have time for full recovery of the nervous system. However, if your goal is to get huge, you need to shorten those rest periods considerably and get after it! 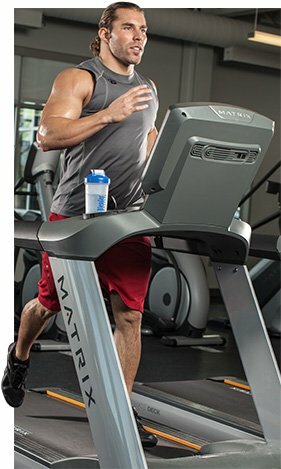 Have you ever wondered why some of the biggest bodybuilders do some form of low-intensity cardio year-round? While it definitely keeps excess body fat at bay, it does something else that&apos;s important, too; it builds your peripheral vascular network. Huh? Think about it like this: We all know we need to eat protein to build our muscles, right? But how do you actually get stuff like protein, or oxygen, to your muscles? The answer is blood. And how do you get more blood to your muscles? Easy. You create a vascular system designed to get blood there more effectively. Low-intensity cardio is great for cardiac development, but it&apos;s also powerful for developing your vascular system. After all, what&apos;s the point of building all this new muscle if you don&apos;t have the means to support it? As a newbie, putting on size is relatively easy. If you never push yourself in the gym, it feels as though just thinking about lifting and eating enough food allows you to pack on muscle at an appreciable rate. But someone who trains is not as lucky. You exhaust your newbie gains, and must pull out the big guns in your programming. Use these tips and I guarantee you&apos;ll put on some bulk this holiday season. For more exercise and circuit tips to accompany this article, pick up the latest issue of TRAIN Magazine. The average person will consume 6,500 calories on Christmas Day. The daily norm is 2,000 calories. 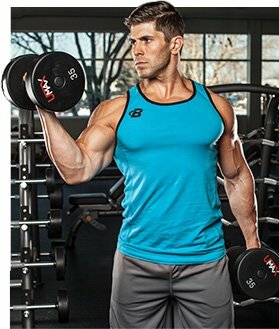 When added together the biceps equal 3 percent of the body&apos;s total muscle mass. The Romanian deadlift was so named by Jim Schmitz in 1990 after the nationality of Nicu Vlad who was the first man to perform it.